Wallace Chevrolet > Chevrolet > 2016 Chevrolet Cruze Finally Revealed! 2016 Chevrolet Cruze Finally Revealed! , its pulled the sheets off the all-new and totally restyled 2016 Chevrolet Cruze. There are also a host of changes to be found under the hood, like a new 153 hp 1.4L turbocharged engine that returns 5.9L/100km on the highway when paired with a six-speed automatic transmission (a six-speed manual transmission is available). Plus, all Cruze models come equipped with Stop/Start technology that shuts down the engine at idle to improve fuel efficiency. 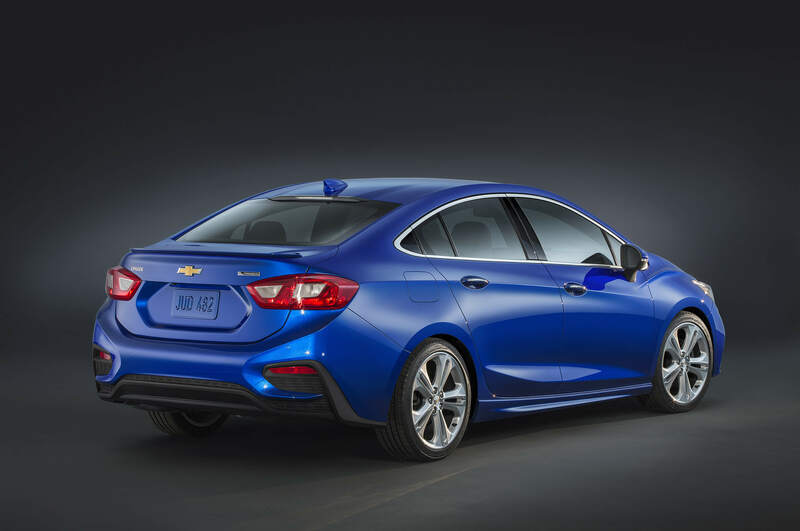 The new Cruze is also 250 lbs lighter than the vehicle it replaces, a sizeable diet that helps contribute to nimbler handling, improved fuel efficiency, and a quieter ride. 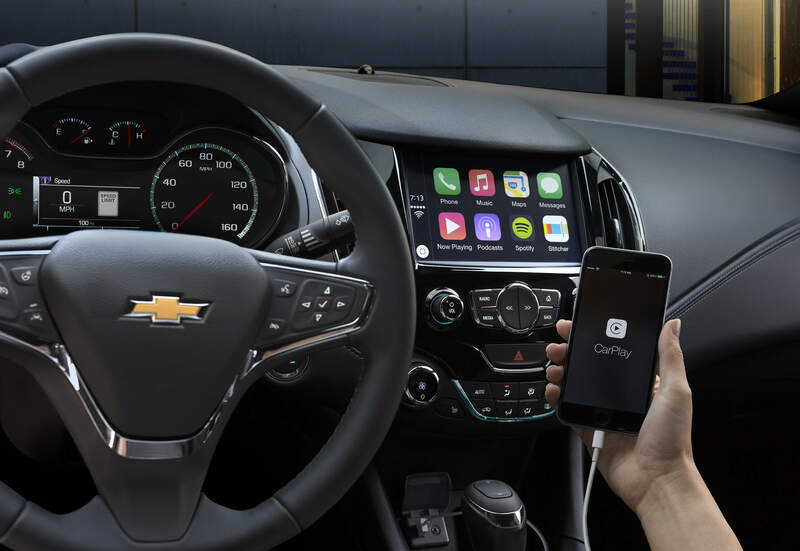 More features than other competitors like 10 standard air bags, four-wheel disc brakes, rearview camera, and optional 4G LTE wireless hotspot. Available advanced safety features like Side Blind Zone Alert, Rear Cross Traffic Alert, Forward Collision Alert, and Lane Keep Assist. The new Cruze will be available in L, LS, LT, Premier and (revised) RS trim levels and will go on sale in 40 markets worldwide. The gas-powered goes on sale in North America at the beginning of 2016, while a new Cruze Diesel model arrives a year later in 2017. Chevrolet spent years developing the new Cruze and it looks fantastic as a result. It goes with out saying– we are incredibly excited to get our hands on it when it arrives early next year! Look for more on the 2016 Chevrolet Cruze soon. In the meantime, contact one of our sales representatives at 905-878-2355 if you’d like to learn more.